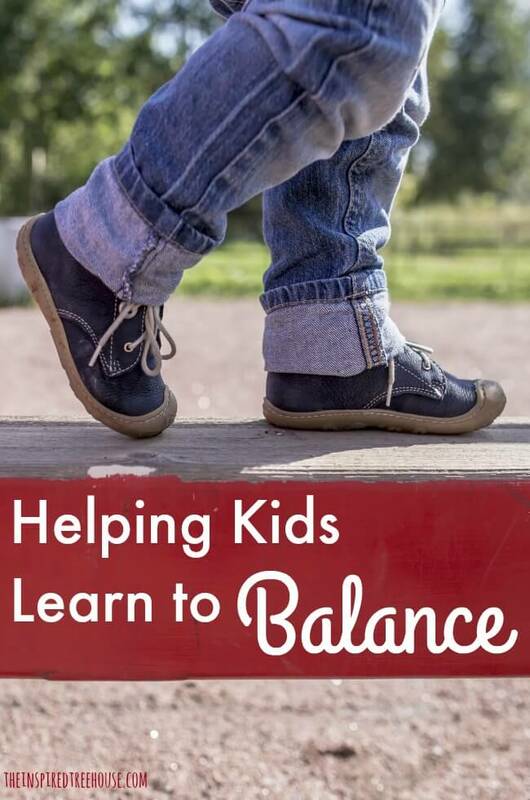 Learn more about balance and get some great ideas for balance practice for kids! Balance – the ability to hold yourself upright and steady against gravity, without falling down. It is an important skill from the day your are born all the way through adulthood. Why is balance important for kids? Balance is important for so many things kids have to do. Some of them obvious, like walking across a balance beam, and some not so obvious, like maintaining upright posture in a classroom chair, running and changing directions and even standing still. Ultimately, children must learn to balance before they can progress to higher level gross motor skills like stair negotiation, hopping, galloping or skipping. And, because it is the foundation for gross motor development, balance is a huge predictor of athletic ability as well. Balance is directly related to core strength – the stronger the core muscles are, the easier it is to obtain and maintain balance. Balance is also necessary for the progression of many other developmental skills – think of a baby moving from his tummy into sitting then from sitting to standing, etc. Let’s look at balance a little more closely. Kids use balance every day as they move across different surfaces, transition from sit to stand, onto and off of the floor, and around obstacles. The body’s proprioceptors (receptors in the joints and muscles) tell the brain about how the body is moving. Standing on a solid surface (e.g. the floor) is much easier for the brain to interpret and respond to than standing on a variable surface (e.g. grass, a trampoline, or a foam pad) that is constantly changing with every little movement. These surfaces present more of a balance challenge. As the body responds to the slight changes that the proprioceptors in the feet and ankles are picking up on while standing on variable surfaces, the core engages, creating more and more stability and therefore increasing the body’s ability to balance! In addition to core strength, balance is also heavily reliant on 3 of the body’s sensory systems working together — the vestibular system, the visual system, and the proprioceptive system. Proprioception: The body has receptors in the muscles and joints that send signals to the brain about where your body parts are in space and how they’re moving. Proprioception lets you know when your foot hits the ground, if the ground is stable or unstable, and how much force to use from one task to another. Vestibular: This system tells the brain that you are moving by the movement of fluid through the semicircular canals in the ear. If your body makes a quick turn to dodge an incoming dodgeball, your vestibular system sends a message to your brain and your brain tells your muscles to react so you stay balanced and keep yourself from falling. Visual: Inside your eyes are small nerve endings with light-sensitive cells called rods and cones. These cells send signals to the brain through the optic nerve and the brain uses the signals to tell us what we see by creating visual images that can be different in each eye. The variants in the images that our eyes see tell us how close an object is to us. This is very important for maintaining balance. If your visual system wasn’t working properly, you wouldn’t know that your body needed to lower about 8” to get down to that next step as you descend the stairs. 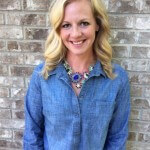 So, what’s the big question we hear as pediatric therapists? How can I help my child develop better balance? 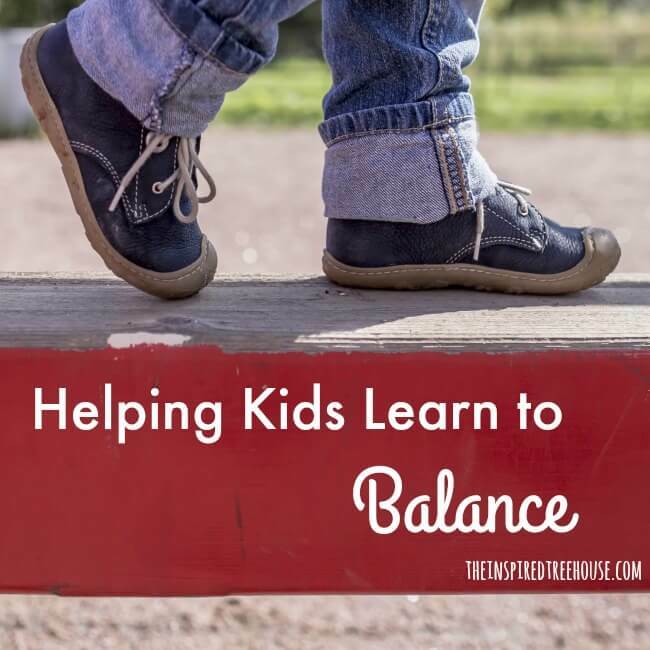 There are so many fun and playful balance activities for kids. SPIDERfit Kids is an awesome online resource for creative ideas and inspiration on how to use powerful play to improve kids’ health! 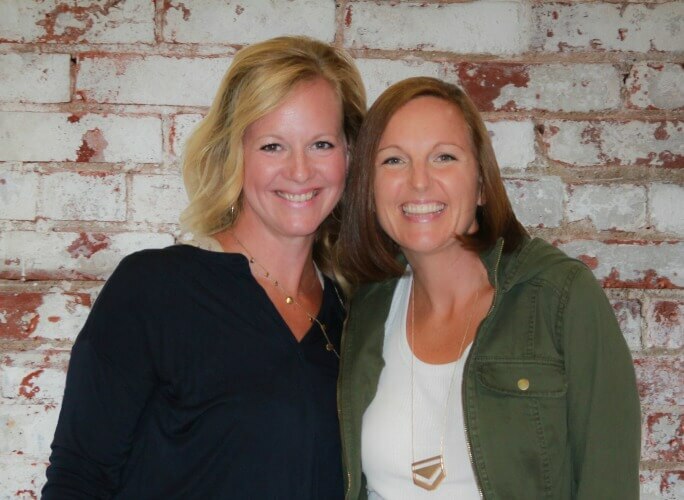 Learn more about their mission at www.spiderfitkids.com! Vision and Balance – A child’s visual abilities are closely related to balance! 1-Leg Balance Reach – Once your child can maintain balance on 1 leg, have them change body position. 1-Leg Balance on an Unstable Surface – Once your child can confidently balance on the ground, adding an unstable surface can provide an intensive sensory challenge! You can explore all of our balance activities at The Inspired Treehouse too! 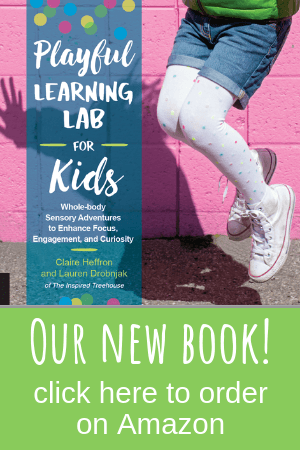 These activities are perfect for kids who are struggling with balance or for challenging your high level athlete’s balance at The Inspired Treehouse. The Core Strengthening Handbook is also a great resource to help kids develop the strong core foundation they need for balance and other developmental skills.